The Turnover Tights are designed for running hard in cold weather. Utilizing our lightweight and luxurious Inverno Blend fabric, the tights feel effortless at full stride, stretching and moving with every change in tempo (and temperature). The cold hand of winter has a way of creeping into our training. Chilly fall mornings eventually give way to darker, frostier ones. But for the most part, like the proverbial frog in the pot, we acclimate. But still, at some point, guts must give way to gear. The Turnover Tights are thoughtfully designed down to the last detail to help you perform at your very best when Mother Nature is at her very worst. These aren’t simply tights; they’re a highly technical solution to the cold-weather problems that plague runners. They’re warm and soft to the skin, shed light precipitation and dry fast. Our Inverno Blend from Italy is specially knit with a smooth yet durable face that fends off light precipitation, and a soft brushed back that provides a barrier between you and the fabric – keeping you cool on days when summer hasn’t quite given in and warm when winter arrives. This micro-nylon and elastane blend also dries quick. So, whether you’re gearing up for a long run or powering through cold intervals outside, our Turnover Tights have your legs covered. Often it’s the little things that make the biggest difference to runners. Take the back zips on our Turnover tights, for example. They’re elongated so it’s easier to pull them off over shoes in the cold. They’re also contoured so they won’t rub against your achilles tendon. The seams are bonded to reduce chafing and weight. Our signature waistband prevents the drooping so common in other tights during longer runs. And the rear welt pocket, placed in the optimal position to reduce bouncing, comfortably accommodates your keys, a credit card and smartphone. 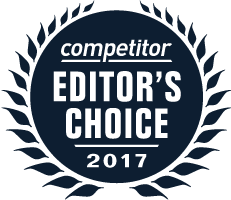 The Turnover Tights won Competitor's 2017 Editor's Choice Award for men's bottoms.